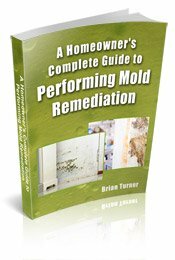 If you’ve got mold in your home, you need to learn about mold treatment and remediation. The simplest definition of remediation is “the correction of something bad.” Mold in the home is definitely something bad. It often causes numerous health problems, including things like asthma attacks, allergic reactions, respiratory infections, headaches, sore throats, runny noses, coughing and sneezing. Children, the elderly and those with compromised immune systems are most likely to suffer adverse affects, but mold can affect anyone exposed to it. Mold treatment is necessary to remedy the situation. As the definition of remediation applies to treating mold, it involves the removal of mold and the repair of any damage caused by mold. For instance, mold can ruin materials like sheetrock or drywall, carpeting, furniture and papers. These materials need to be safely removed from the home (if you just pick up a contaminated object and carry it out of the house, mold spores are usually trailed through the house, compounding your mold problems) and replaced. Of course, some important papers cannot exactly be replaced, but they can be photocopied prior to disposal. Treating mold can be simple, if you have a simple strain of mold, don’t have much of it and it’s all growing in an easily visible place. If that’s the case, you can buy products at your local hardware store to remove the mold. The problem is, it’s hard to know what strain of mold you have unless you have it tested and it’s hard to know if all the mold is growing in an easily visible place. After all, if it’s somewhere not easily visible, you probably won’t see it. That’s why we recommend hiring a professional. A professional can test your mold to see what strain it is, therefore determining the best product to kill it. A professional will also know where to look for hidden mold and have equipment to test for mold that is not easily visible. You can find a list of Certified Mold Testers in your area by following the link. Mold remediation involves removing every trace of mold from the home. If even a tiny bit of mold is left behind, it can grow and spread and your problems will just return. What makes mold treatment tricky is that mold can hide in places you’ll have trouble finding it. Mold spores easily go airborne and drift around and can settle almost anywhere. For instance, mold can be found inside heating and air ducts, inside walls, growing inside the insulation in walls, under carpet in the carpet backing and in other places not easily seen. Mold remediation professionals are trained to find all of this hidden mold. 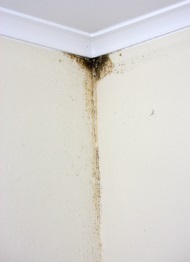 In some cases mold can simply be removed from whatever it’s growing on, but in other cases materials become contaminated and cannot be cleaned. For instance, it’s usually impossible to remove mold from insulation. In such cases, you will need to remove the contaminated material and replace it. When materials must be removed, the job must be performed very carefully because mold spores spread so easily. If a contaminated piece of carpet or drywall is simply carried through the house, a trail of mold is likely to be left behind. Not only does more mold begin to grow then, but the spores may be inhaled and cause a number of health problems. Materials should be sealed in heavy plastic bags before they are carried out of the house for disposal. Mold remediation professionals are trained in removing contaminated materials safely, which is another good reason to hire a professional. Mold removal specialists usually offer free consultations, during which they will make sure you’ve located all the mold in your home, formulate a plan for removing the mold and preventing it from coming back, and advise you about important safety precautions that should be taken during the process. Even if you plan to handle the mold remediation yourself, you’ll gain valuable information by consulting with a professional. For a list of qualified mold removal specialists near you, just follow the link.